Q1 - Can I assign more than one Key Contact per Client? No. Currently, we allow one Key Contact per Client. We do provide other badges you can assign to other Contacts. Q2 - Is it possible to bulk update several accounts at one time? Using our Bulk Edit tool there are a handful of fields that you can update for multiple Clients at once on. See our KB article here for more details. Q3 - Can I rename, or create my own Contact Badges? At this time, badges are only available in their default state. We do support Contact level Custom Fields which can be updated manually or via the API. See our KB article here for more details. Q1 - What is the difference between an “Engagement” and a “Touch”? Engagement is when both parties participate in a conversation whether it be via a phone call or meeting, or via an email received from a Contact. A touch is when a CS User reaches out to a Contact, but there’s no response from the Contact. An example would be sending an email and getting no response, or making a phone call and leaving a voicemail. More details can be found here. Q2 - Who can be added as a participant on an Engagement? Only Contacts can be added to the “Who’s this Engagement about” section. However, you can work around this by adding other Engagement participants to the “Subject” line. Q3 - Which Engagement type should be used if there is an internal meeting? When logging internal meetings about your Client, a best practice is to use the Note Engagement type. Remember, using the Call or Meeting type will log as an engagement + touch, which makes it look as if the customer has had a recent engagement. Q4 - How do I record a voicemail in the Engagement Module? While there currently is not an option for voicemails, we recommend you manually add an "Email" instead. This will only update the Last Touch field and if you put "Voicemail" in the subject line, you can easily search for voicemails later. Q1 - How can I dictate which Alerts I receive? Until new CS Users configure their own personal Alerts, they will default to using the Global Settings > Alerts settings. New CS Users should go to My Settings > Alert Preferences to set up their individual Alert preferences. Q2 - Can a User set Alerts of their choice based on specific criteria? Example: New Client has not logged in for 30 days. Yes, this can be done in alert preferences found in My Settings. More details can be found in our KB article here. Q1 - How are Forecasts initially calculated? When you add a recurring Subscription, a default Forecast will be set to match that current Subscription. The probability for that Forecast will also be automatically set to 70%. More details on Forecasts can be found in our KB article here. Q2 - What is the difference between a Subscription renewal date and the Client renewal date? If a Client has multiple Subscriptions with varying renewal dates, the Client renewal date will reference the Subscription renewal that is coming up the soonest. Q1 - Can placeholders be used in the subject line? No, placeholders can currently only be used in the body of the email. Q2 - Is it possible to have an email sent from a team or group of users instead of a specific CSM? At this time there is no “user grouping”, only one CS User can be in the “from” section of an Email Automation rule. However, you can work around this by creating a CS User with your team/group name, for example, “CSM Team”, and use that in the “from” section. Q3 - Who can automated emails be sent to? Automated emails are most commonly sent to Contacts with an associated badge. For other use cases, see our KB article here. Q4 - Why do placeholders for test emails not display “real” data? Test emails insert dummy data for placeholders to give you an idea of how the real email will be structured. Real emails sent will contain real customer data. Q5 - When I send a test email for Email Automation, who will it be sent to? Test emails will be sent to the User who is clicking “Send test email”. Q1 - Can a user set up Alerts around Activities and Tasks? Yes. Under My Settings > Alert Preferences a user can set up Alerts related to SuccessCycles. Q2 - If an individual Stage has been marked as completed, can this be reversed? As long as there is at least one Stage that has not been marked as completed, then yes. Click the drop-down displaying all of the Stages > Uncheck any that should not be marked as completed. Q3 - If an entire SuccessCycle is marked as complete, is it possible to reverse it back to incomplete? A completed SuccessCycle is irreversible by the user. 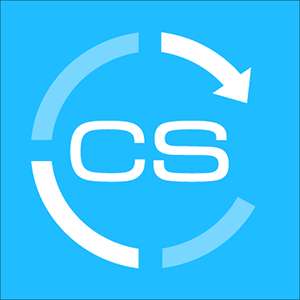 Please reach out to support@clientsuccess.com to make these changes. Q4 - Is it possible to view old Tasks and Activities for previously completed SuccessCycles? Yes. Navigate to Tasks > Click on SuccessCycles (left-hand side of the page). From here you can filter down to find specific Tasks and Activities. Q5 - Can a SuccessCycle be reused by the same Client? Currently, a SuccessCycle cannot be reused. A common workaround for this is to create a duplicate SuccessCycle with a similar name, i.e. SuccessCycle 2.0. Please contact support@clientsuccess.com for assistance with this. Q6 - Is there an Alert that can be triggered when the final SuccessCycle within a Client has been completed? Currently, there is not an Alert letting a User know when a SuccessCycle has been completed. Workaround: create a Segment showing all Clients who are not associated with a current SuccessCycle. Q1 - Why is a recently configured SuccessScore not being displayed within a Client? SuccessScores apply to Clients based on their Client Type. Ensure that all Clients have a Client Type applied to them and that their Client Type is listed on the SuccessScore profile. SuccessScores are recalculated every 24 hours. Please allow this time after making a change to any Client Type or SuccessScore Profile for those updates to apply to your Clients. Q1 - What are Reason Codes? Reason codes allow you to track why changes to Client Pulse, Downsell, and Termination were made. Check out Pulse Plan to learn Pulse Reason Code best practices. Q2 - Is there a default Pulse that is set for new customers? Is it possible to select your own default Pulse? Currently, all new Clients created from the CS UI, or via API will be set to the default Pulse of “Fairly Satisfied”. There’s no option to set your own default Pulse. Clients that sync over from Salesforce Accounts will not have a Pulse set. Q1 - What are the requirements for being able to properly utilize Account Hierarchy for Parent-Child relationships? To set Parent-Child relationships using Account Hierarchy, a separate Client Record for both the Parent and Child accounts must exist in ClientSuccess. Q1 - How are Parent-Child relationships displayed within ClientSuccess? Each Client record with a Parent-Child relationship will display within the Hierarchy app.